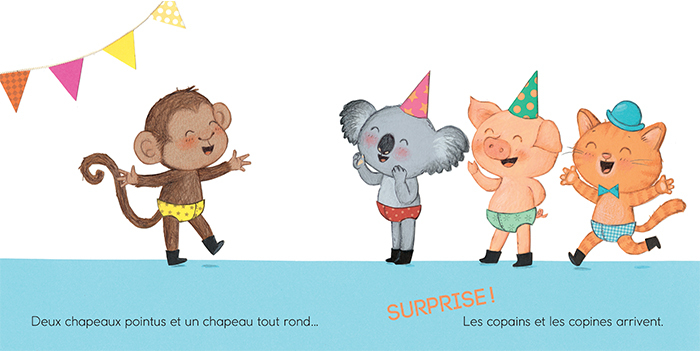 Little Monkey is going to have a wonderful surprise on his birthday! There will be balloons and presents, cakes, candles and confetti — not to mention all his friends! 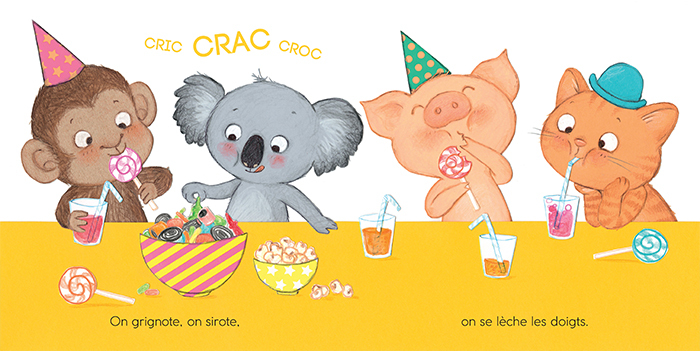 The simple, itemized story goes wonderfully with Cécile Hudrisier’s adorable and expressive characters. A delightful happy-birthday story with an emphasis on friendship.